Discussion in 'Character Directory' started by Eris, Jun 13, 2018. C.A. Rotwang: A very rude human who stole Fëanor's phone, only to be forced to return it when he came to Fëanor seeking repairs for his mechanical hand. Fëanor considers reclaiming his old phone a victory and never wants to see Rotwang again. Flowey: A strange flower who is sentient, yet friendly. An innocent victim of the Calamity who was once a friend. Jack Jackson: A craftsman who once helped Fëanor get out of the desert near Horizon after a mishap with the mirror travel system. Unable to speak, but clearly intelligent, and a craftsman. Fëanor is hoping to see some of his work at some point. Jane Tobias: His first murder victim, who somehow returned to life. He is very impressed by her strength. John Uskglass: RUDE AF. Keeps showing up randomly in Fëanor's life and speaking disrespectfully before leaving in strange ways. Lift Reyes: Fëanor was baffled when he saw Lift steal food, only to receive an explanation of how things worked for people with less money; Fëanor offered to help Lift, but she refused. She then saved his life by taking a bullet to the head, after which he has considered her an honorary daughter. Maglor: Fëanor's second son who seems to elicit the worst in him by telling him horrible tales of the future. Although they have butted heads a great deal so far, both father and son are hoping for reconciliation. Thomas of Dundale: First met while Fëanor was trying to drink his problems away, Thomas later helped Fëanor catch Charmander. Amras: Dead son returned to life. Will glomp-hug forever. Perrin Aybara: A good boss. Riley: An interesting person from an intriguing world. Entei is fascinating and needs to be looked into further. Toboe: Kind and innocent. Comes from a strange place. ■ 1190 Y.T. : Not All Is Wrong This Night with Nerdanel (Keira) - Fëanor speaks to his future wife for the first time. ■ May 17: Of Fëanor And The Arrival In Pandora - Fëanor arrives in Pandora in the middle of a busy street. He is quickly told of the nature of his new world, but he has a thousand questions and a burning need to know the answers. ■ May 18: What If I Was Nothing with Lift (Keira) - Fëanor encounters a young girl living in an abandoned building and learns about poverty and deadbeat parents. ■ June 1: Time To Raise The Dead with Maglor (Nessa) - Fëanor meets his second son, who has tales of millennia of grief to tell him. The angstiest time in Fëanor's life thus far, and that's saying something. ■ June 3: Forging A Path In Pandora with Perrin Aybara (Steel) - Fëanor finds a job in Perrin's forge in the aftermath of Maglor's stunning news. ■ June 14: Would It Be Alright Showing Myself To You? with Toboe (Ariel) - Fëanor gets lost in the forest and meets Toboe, who helps him find his way. ■ June 15: An Unexpected Guest with John Uskglass (Nessa) - An unexpected intruder in Fëanor's home leads to an introduction to the mirror travel system from a rude stranger. ■ June 16: Magic Hat: Wait For The Stars To Align with Jack Jackson (Octi) - Fëanor uses the mirror system incorrectly and winds up lost in a desert with only a mute human to help him find his way back to civilization. Fëanor July 5: Bleeding Heart and Oleander with Flowey (Weenie) - Fëanor goes spelunking with a new friend. ■ July 7: A Very Short Eternity with Lift (Keira) - Fëanor encounters Lift again as she saves his life from a gunshot. He takes the dead girl back to his house on the instructions of her spren and is shocked when she comes back to life. He now considers her family thanks to this selfless act. ■ July 8: Just A Night with Thomas of Dundale (Linnie) - Fëanor drinks his sorrows away, accompanied by a friendly bar patron. ■ July 9: Of Hangovers And Stabby Horses with William of Lanchester (Piper) - A hung-over Fëanor learns about unicorns and winds up with a pet filly who follows him home. He names her Malda. ■ July 15: Things That Were And Could Be Yet with Maglor (Nessa) - Maglor makes an effort to reach out to Fëanor and introduce him to Elros, but things quickly descend into arguments after a misunderstanding. 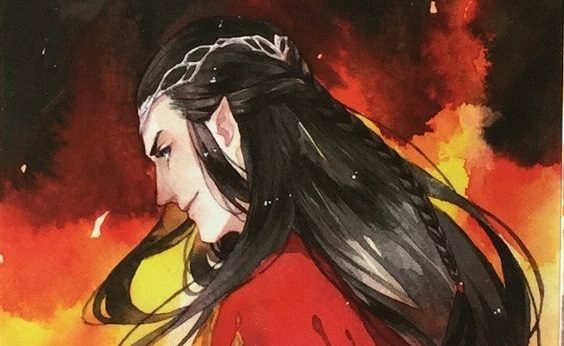 ■☎ July 20: Fëanor And The Magic Box with Maglor (Nessa) - Fëanor obtains a cell phone and begins a clueless interaction with Maglor where they eventually agree to meet and attempt to settle their differences. ■☎ July 20: The Daily Food Check-Ins Begin with Lift (Keira) - Fëanor checks in on Lift and learns... a little too much about emojis. ■☎ July 25: New Phone, New Friend? with C.A. Rotwang (Nyami) - Fëanor loses his phone and tries to get it back from someone who is equally as stubborn as he is. ■ July 27: Little To Win, But Nothin' To Lose with Maglor (Nessa) - Maglor invites Fëanor to his house to try to reconcile their differences. This is their last meeting before Maglor is taken back to his original world. ■ July 29: Well, These Days, I'm Fine. No, These Days, I Tend To Lie with Amras (Piper) - Fëanor encounters his son Amras, who is dead in Maglor's world. ■ August 3: Reforging A Life with Nerdanel (Keira) - Fëanor reunites briefly with his beloved wife before the vines take her away at a pivotal moment in their conversation. ■■ Date Unknown: Doomed To The Fallen [Calamity] with Flowey (Weenie) and Jane Tobias (Linnie) - Flowey goads Fëanor into his first murder in Pandora. ■ Early September: The Calamity resolves and Fëanor lands on a faraway mesa, finding that people remember him through his Fake History as the owner of Mind Over Metal in Pandopolis. Although he has attempted to contact Nerdanel and Maglor, he is unsuccessful. He is also unable to find Malda, who, unbeknownst to him, was teleported somewhere near the outskirts of the Crystal Vales. ■ September 1: A Not-So-Fresh Start with Link (Ariel) - Fëanor finds himself atop a nearly-deserted mesa with a stranger. ■ September 3: Spirits Of Fire with Riley and Entei (Skooter910) - Fëanor encounters a strange creature and brings it back to his forge; unbeknownst to him, he has found a legendary pokemon belonging to Riley. ■ September 5: Whose Phone Is It Anyway? with C.A. Rotwang (Nyami) - Fëanor meets his old nemesis at last and reclaims his old phone. ■ September 9: New Tools From An Old Friend with Jack Jackson (Octi) - Fëanor is reunited with his old acquaintance, Jack, and sells him tools for his work. ■ September 23: The Elf Doctor Is... In? with Leonard McCoy (Steel) - Fëanor goes to a strange doctor for his burn. ■ November 23: Behind The Sky, On The Other Side Of The Rain with John Uskglass (Nessa) - John Uskglass reappears in Pandora in Fëanor's forge. ■ December 15: I Choose You! 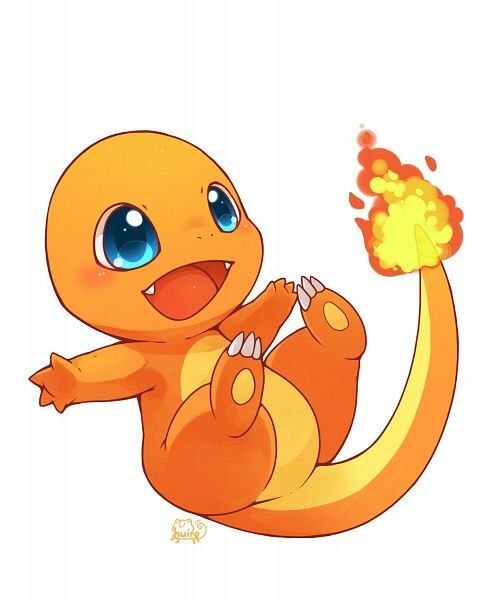 with Thomas of Dundale (Linnie) - Fëanor and Thomas locate a baby charmander, and Fëanor successfully captures it. ☎■ January 1: Ammë's Boy - Fëanor receives text messages and a letter from his dead mother. He does not believe her until the signal is gone. ■ January 20: The Dead Comes Alive with Jane Tobias (Linnie) - Fëanor encounters Jane Tobias, who he killed during the Calamity, and gets a piece of her mind. ☎■ April 18: Apparatus for an Adversary with C.A. Rotwang (Nyami) - Fëanor sends his phone to an inventor to help him contact his mother again, not knowing he has sent it back to Rotwang.